ARUTPERUMJOTHI: The Destroyer Of Skepticism And Phlegm! By “skepticism”, I mean philosophical skepticism, the philosophical view that knowledge is impossible, and that, therefore, we cannot be certain about any claim. Philosophical skepticism, consequently, celebrates and glorifies doubt, intellectual vacillation, uncertainty, and the display of virtuosity in attacking and rejecting any truth-claim. It is also very peculiar that philosophical skeptics uncritically assume that doubting is an intrinsically valuable practice. Hence, the endless and wearisome disquisitions, short or long, issuing forth from the philosophical skeptics, on the glory and rapture of being stuck forever in the swamps of doubt and uncertainty! But, given the fact that philosophical skepticism is an exercise in intellectual and moral perversion, we should seriously consider whether philosophical skepticism is a form of mental, moral, and spiritual disease which wreaks havoc in the mind in ways analogous to the havoc wrought by phlegm in the body. Philosophical skepticism is a form of intellectual perversion because it deliberately denies the necessary conditions of its own formulation and assertion. It denies that we can know anything and yet the very assertion of this skeptical position presupposes a knowledge of the meaning of the words and the corresponding concepts used in formulating the skeptical view or position. Otherwise, the skeptic must confess that he does not know what he is asserting or doubting! Doubt implies an object of doubt, something which is subject to doubt. If the skeptic acknowledges that he knows what the object of his doubt is, e.g., a general or specific claim or thesis, then he is hoisted on the petard of inconsistency since he is saying both that he cannot know anything and that he also knows what he is doubting. In Ludwig Wittgenstein’s parlance (His late work On Certainty sounds the death knell of philosophical skepticism! ), we could say: Whereof you can doubt meaningfully, thereof you must know something. Every act of doubting presupposes items of knowledge exempted from doubt. Doubting is meaningful only in the context, and against the backdrop, of knowledge. And this knowledge is often expressed in actions, in doing. Let us consider one of the many peculiar assumptions of the philosophical skeptic, and of those who laud a skeptical stance toward anything and everything, the assumption that a doubt is intrinsically valuable. This false value (judgment) is at the root of the disease of skepticism. The assumption is clearly absurd. It is analogous to the claim that an assertion is intrinsically valuable, or that a belief is intrinsically valuable, or that a denial is intrinsically valuable, and so on. These are all absurd claims because, obviously, the value of any assertion, belief, or denial is dependent on the content or object of the given assertion, belief, or denial, and the grounds or reasons for doing so. There is nothing intrinsically valuable about the denial that we need to breathe in order to live, or in the assertion that we can live merely on air, or in a belief in unicorns. In just the same way, it is absurd to hold that a doubt is intrinsically valuable. Whether or not a doubt is valuable depends on the context, the content or object of doubt, and the grounds for the doubt. There is nothing of value in someone expressing correctly, in English, a doubt concerning his or her ability to say anything at all in English. It is also equally absurd to express doubts on the “reliability of perception per se” or “reliability of inference per se” and so forth. Although it is meaningful in certain contexts to raise doubts about whether what we are seeing actually exists, whether our perception is veridical, and so forth, it makes no sense to doubt the “reliability of perception” for the simple and obvious reason that if perception were not, on the whole, reliable, the “doubting Thomas” would not even exist to vaunt his prowess in doubting everything! The very existence or survival of the doubter is testimony to the reliability of perception! Further, there is a gross non sequitur and incoherence in the skeptical denial of the reliability of perception. The skeptical denial of the reliability of perception invokes cases in which we turn out to be mistaken in thinking that our perceptions are veridical or correspond to reality, e.g., seeing that a stick is bent in water, seeing a mirage of an oasis in the middle of a desert, etc. But it is a gross non sequitur to infer from such cases that perception itself is unreliable as a means of knowledge. This is because our judgments on the unreliability of our perceptions in these cases invoke and depend on the reliability of our perceptions in other cases! We say that it is only an appearance that the stick is bent in water because we see that it is not bent when we take it out of water and we have no good grounds to doubt that such perceptions are veridical. We also reason inductively based on past perceptions that a stick cannot be bent merely by immersing it in a stagnant pool of water and that, therefore, it is an optical illusion that the stick looks bent when it is immersed in water. Above all, we presuppose that our perception of the existence of the stick is veridical! If we do not presuppose that our perception of the existence of the stick is veridical, we cannot meaningfully raise any questions about the status of our perceptions of the appearance of the stick when it is immersed in water! We judge the sight of an oasis in the middle of a desert to be an optical illusion only because we depend on the reliability of our perception when we get close to the location of the apparent oasis and see nothing there. Again, we also reason inductively based on past perceptions, our own perceptions and/or that of other individuals, of the absence of oases on approach to their apparent location, that such phenomena are optical illusions. “Illusion” is a contrast concept and phenomenon and makes sense only in contrast to reality. If everything were an illusion, we would not even have a concept of illusion. Therefore, the judgment that a given perception is an optical illusion presupposes that we know that some perceptions are veridical or correspond to reality. Thus, it is a non sequitur to conclude from any case of optical illusion that perception is unreliable as a means of knowledge. Given that claims of optical illusion presuppose that there are veridical perceptions, or perceptions which correspond to reality, it is an instance of gross incoherence to argue that cases of optical illusions show that perception is unreliable. 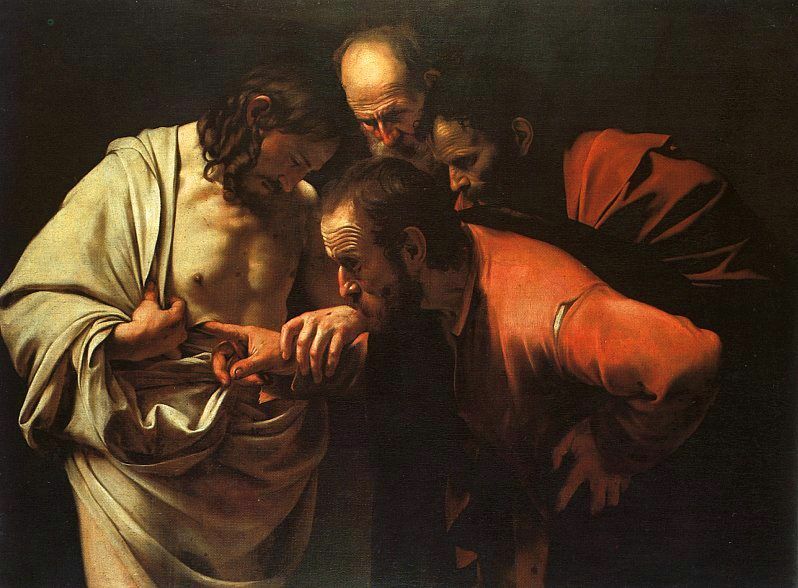 And, God forbid, should the “doubting Thomas” go to a philosophy conference to celebrate the virtue of doubting the reliability of perception per se, the very act is testimony not only to the “reliability of perception”, but his reliance on perception! If the skeptic is not stupid, then he already knows all these obvious truths. In that case, the pretense and insincerity involved in striking his absurd pose of ignorance or uncertainty concerning the necessary conditions of asserting coherently the very position of philosophical skepticism is certainly a form of moral perversion. In short, philosophical skepticism is a form of intellectual and moral perversion. If perversion is a form of pathology, a disease, then it follows that philosophical skepticism is a form of intellectual and moral pathology. Ramalingam discerned and expressed all this truth with crystalline clarity in his magnum opus Arutperumjothi Agaval. The Agaval verse quoted at the start of this post uses the Tamil word “ஐயம்” twice. In its first occurrence, it refers to doubt, uncertainty, and skepticism. It is conjoined with the word “திரிபு” which means “perversion and distortion”, e.g., divergence from truth, distortion, or misrepresentation, or modification of truth. His reference to doubt, distortion, perversion of thought, and phlegm in a single verse shows that he viewed doubt, distortion, and perversion of thought as intellectual or mental diseases analogous to the diseases of phlegm in the body, the former clogging the “respiratory” channels of the mind, as it were, in just the way the latter clogs the vital respiratory channels in the body. Phlegm makes it difficult for us to breathe well, to take in the vital nourishment of air. Skepticism or persistent doubt makes it difficult for us to fully experience and understand reality, truth, and value. Phlegm destroys physical health. Skepticism or persistent doubt destroys intellectual, moral, and spiritual health and undermines one’s chances of attaining enlightenment and liberation. The wondrous compassionate action of Arutperumjothi destroyed not only the diseases of skepticism and perversion of thought, including doubts and distortions pertaining to the reality of Arutperumjothi and its compassionate action, in Ramalingam’s mind, but also the diseases of phlegm in his body. No wonder that Ramalingam praises Arutperumjothi as the medicine which cures all ills. Let us, therefore, seek to render ourselves receptive (no mean task since it involves the obliteration of all falsehood and cruelty in the self or soul) to this wondrous compassionate action of Arutperumjothi so that we too may be free from the diseases of skepticism, doubt, distortion and perversion of thought, and phlegm endemic to our embodied existence! Refraining from vain indulgence in philosophical skepticism is the first step in this journey toward achieving a state of crystalline clarity of perception and enjoyment of the boundless reality and bliss of Arutperumjothi!